No matter how modern and fast-paced life is nowadays, the age old adage ‘breakfast is the most important meal of the day’ still holds true. Whether you’re rushing to go to work/school or perhaps taking your time to bask in the morning light, skipping breakfast is just not the way to start the day, especially when you can make your meal in 5 minutes. The Philippine Dietary Guidelines recommends that whole grains should form 50% of the total grain intake. 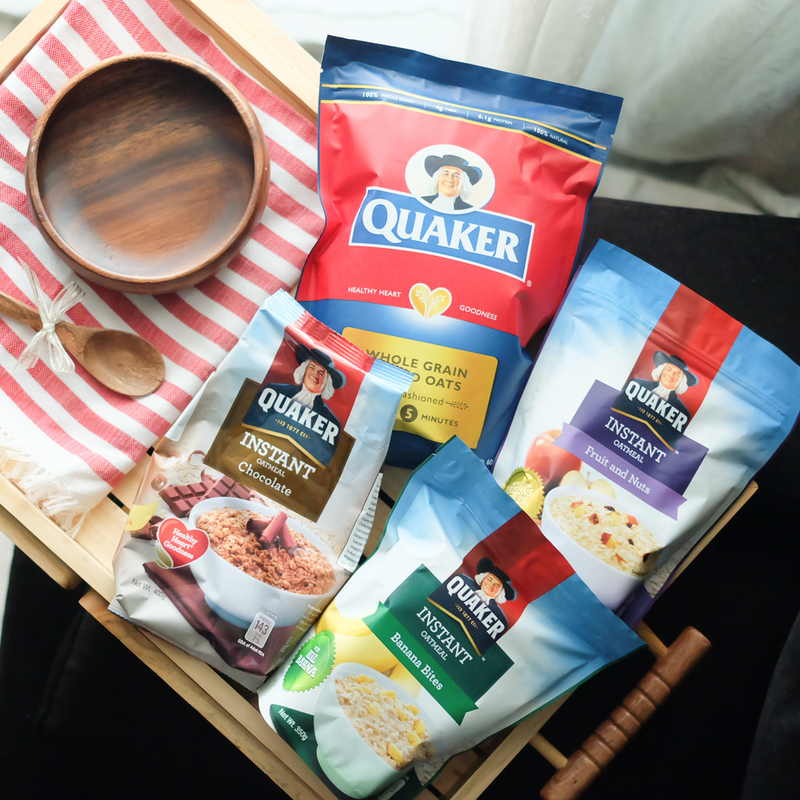 Quaker Oats offers various options that are easy to prepare and extremely convenient to help you meet your daily whole grain and fiber needs. I really, really need fiber in my life! I don’t wanna go TMI on you but you get my drift, right? 🙂 Fiber helps one regularly rid of toxins in one’s body (you know that number 2 you do in the potty) and with the right daily intake, you’re sure way to do your business in the bathroom with ease. Quaker Oats is such a kitchen staple here in our home. It’s rich in fiber & helps keep the digestive system clean and happy, while B vitamins and minerals make sure one meets all nutritional goals on a daily basis. All it takes is jut 5 minutes to start your day right with one of nature’s ultimate super grains. 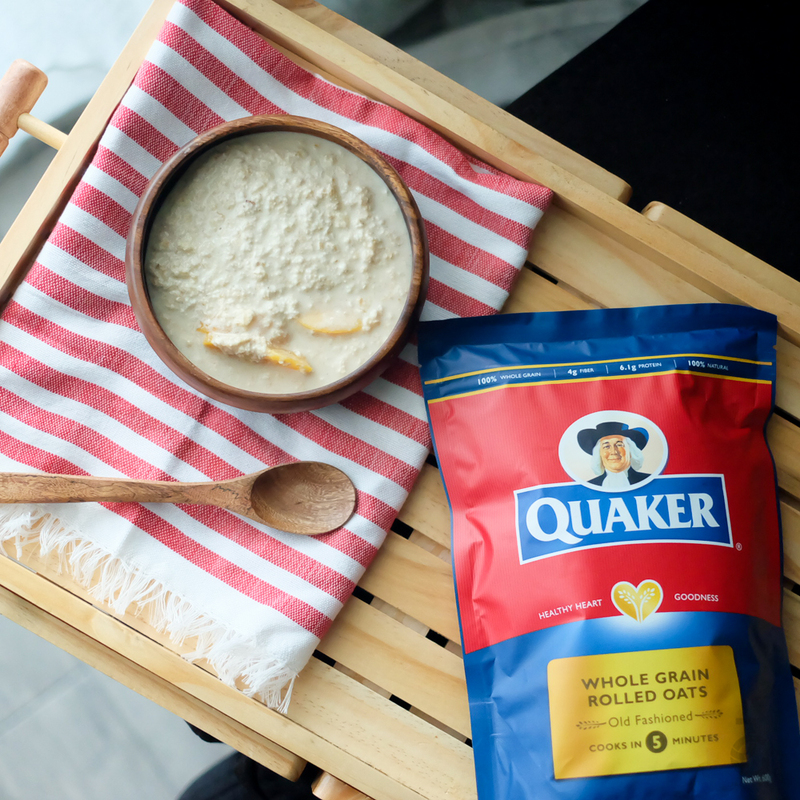 There are so many ways to eat oats but for now, I’m sharing the simplest and quickest way to enjoy your Quaker Oats. Put a serving of Quaker Oats in a bowl, pour hot water and wait for it to cook. Add milk or honey and a few slices of your favorite fruit. I honestly dislike oats growing up probably because I was used to eating savoury breakfast–hello rice & processed food like ham & hotdog!. If my mom insisted and reiterated to me how healthy & beneficial oats are, I could’ve appreciated it earlier. Now that I’ve come to love it–it’s part of my healthy diet & my go-to food whenever I need sustenance to start my long day–I’m introducing my kids to it early on. Now our whole family is into eating oats. 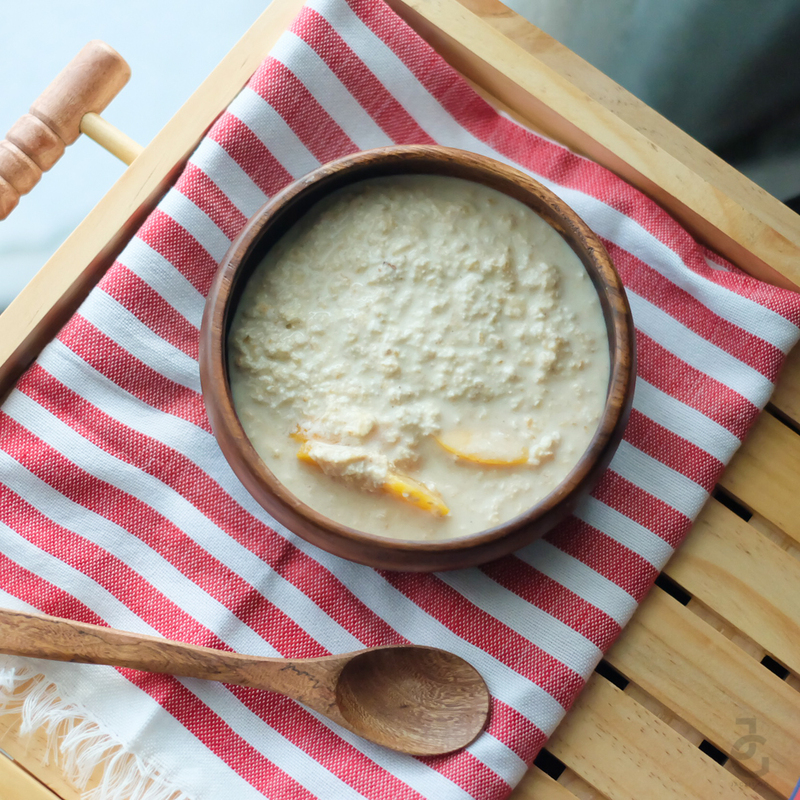 Check out different easy-to-do oat recipes from Quaker Oats. Quaker Oats is available at leading supermarkets nationwide.